It’s the Year of the Pig this Chinese New Year (CNY) and what better way to usher in the new year than with a porky bakkwa lohei! 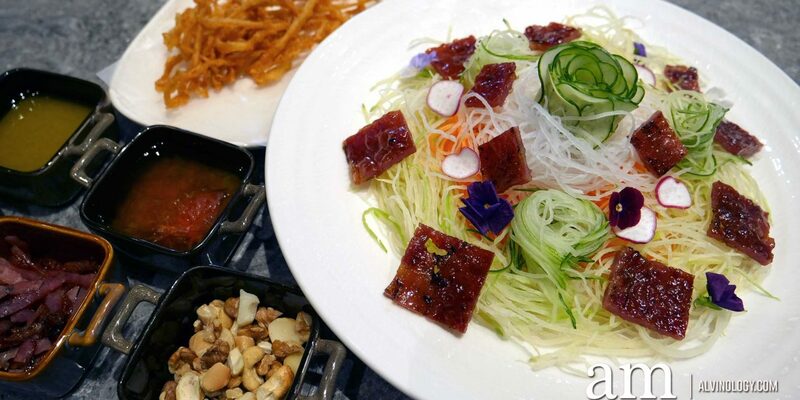 Instead of the traditional raw fish used in yusheng, Bee Cheng Hiang Grillery has created its very own special version of yusheng featuring bakkwa (grilled pork) as the highlight. 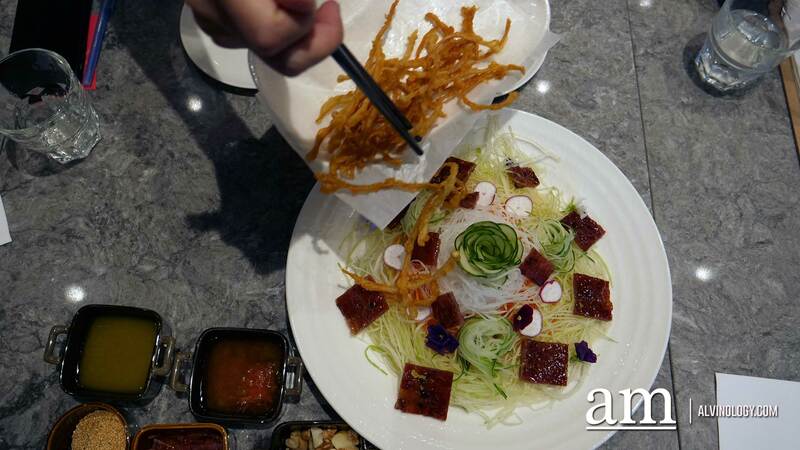 Bee Cheng Hiang’s unique Bakkwa Lohei is available for both dine-in or takeaway at Bee Cheng Hiang Grillery, the home-grown household bakkwa brand’s recently launched bistro and wine cellar at their flagship store at 1359 Serangoon Road. The dish is retailing at a very reasonable price of just S$18.80 and will be available throughout CNY till 19 Feb, 2019. 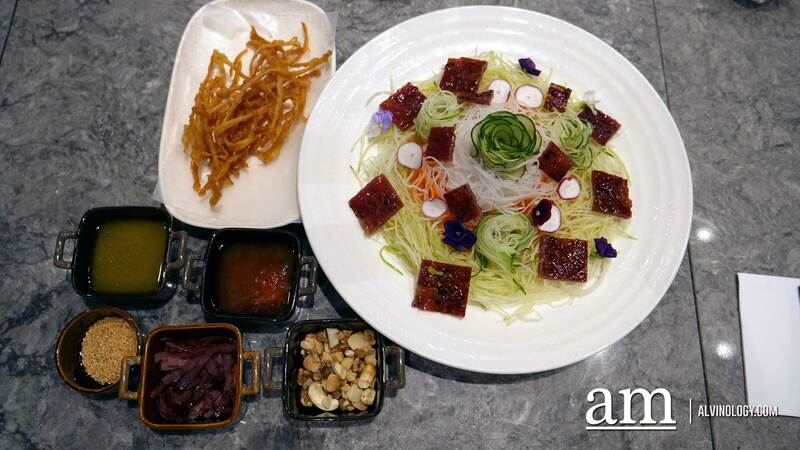 The dish features Bee Cheng Hiang’s exclusive Gourmet Fusion bakkwa, freshly julienned vegetables, topped with an all natural house-made yuzu dressing. No additional colouring or flavouring is added. 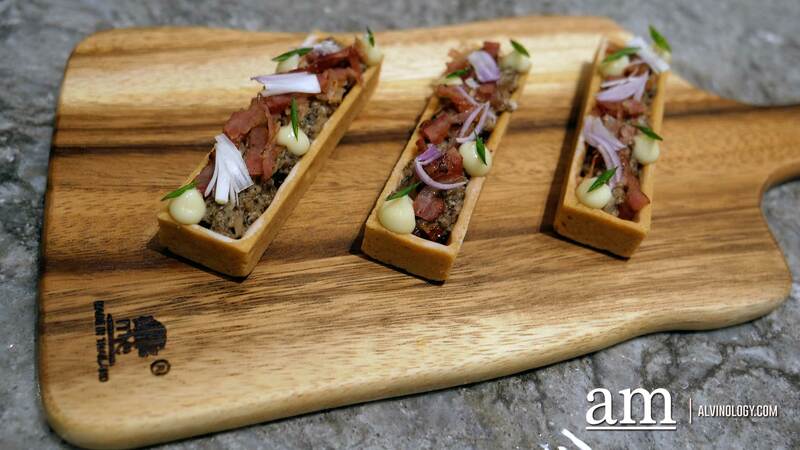 The Gourmet Fusion bakkwa is a unique blend of premium pork hind and pork belly. It contains no added MSG, preservatives, meat-tenderiser and artificial colouring and flavouring. The resulting effect is a bakkwa slice that is simultaneously succulent and chewy, and possesses the quality of being smokey and crispy in all the right places. 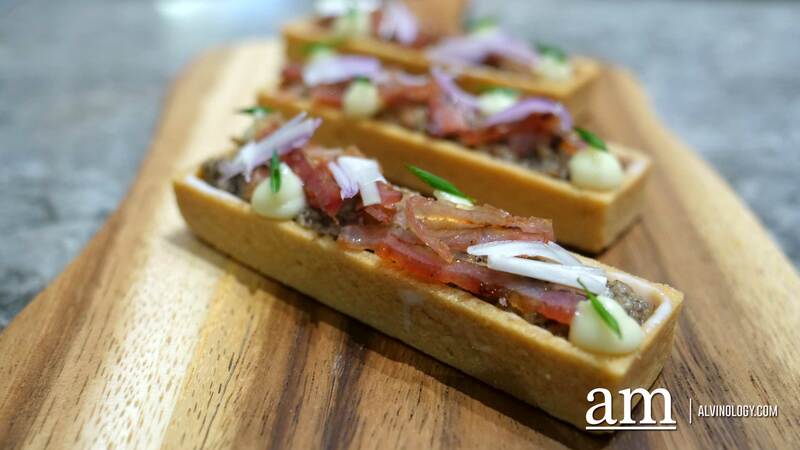 There is also a slew of exclusive dishes available only at the bistro such as their new Truffle Bakkwa Tart, designed by Bee Cheng Hiang’s chef consultant Zor Tan. The celebrated chef specially created the innovative pastry for Foodie Makeover, a Toggle programme about putting novel, modern spins on traditional food items. Bee Cheng Hiang has decided to officially put this dish on its menu after receiving much public interest during the filming of the Toggle programme. Check out Tsui Wah Singapore’s Signature Dishes from 15 June at Clarke Quay!